Truth-telling will be the centre of discussions at the Garma Key Forum in north-east Arnhem Land this year. 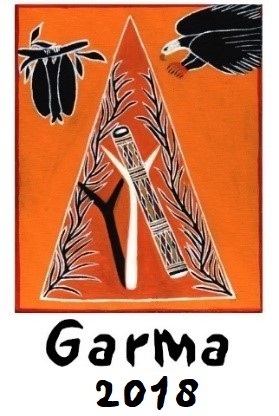 The Yothu Yindi Foundation (YYF) said the official theme for the 20th annual Garma would be ‘Yuwalk Lakaranga’ – truth-telling. YYF Chairman and Gumatj leader Dr Galarrwuy Yunupingu AM said the process of Makarrata – the settling of differences - could not be achieved without each party first giving an honest account of their grievances. “Truth-telling is at the heart of the Makarrata process and essential to obtaining a lasting settlement and a united future,” Dr Yunupingu said. YYF CEO Denise Bowden said the Key Forum was the ideal setting for informed debate and discussion on achieving a lasting settlement for the nation. “It is important that time is taken to get the right outcome for the right reason,” she said. This year’s Garma – the 20th anniversary of the event – begins on Friday, 3 August and concludes on Monday, 6 August, at the culturally significant ceremonial grounds at Gulkula, near the township of Gove in north-east Arnhem Land. Mrs Bowden said Garma 2018 would be a chance to reflect on some of the achievements of the past. "We've made a lot of progress in the past two decades, but the hard work still lies in front of us. As always, we will continue to ask the difficult questions and tackle the challenges that we face." As in previous years, it is anticipated that tickets to this year's event will sell out many months in advance, with more than 2500 people expected to attend. Ticket registrations close on Friday, 27 April.